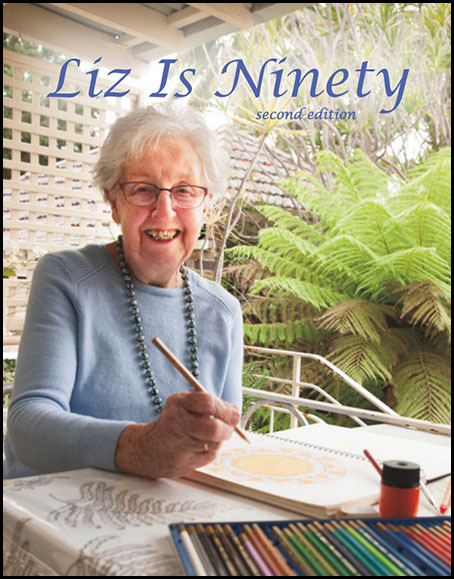 This is an updated edition of our booklet Liz Is Ninety. We had created this little book to celebrate her life and her family, and now we updated and extended it with more photos, especially the pictures from her birthday party. You can buy the book from Blurb. The actual book (Blurb call it a magazine) costs just US$9.99, but the shipping + tax brings the price to approx. US$27.85 = AUD$39.50. The entire book can be previewed on the Blurb website, just click PREVIEW on the "buy the book" webpage. To learn more about Liz go to my blog 777 ... The Woodcarver of Balmoral.